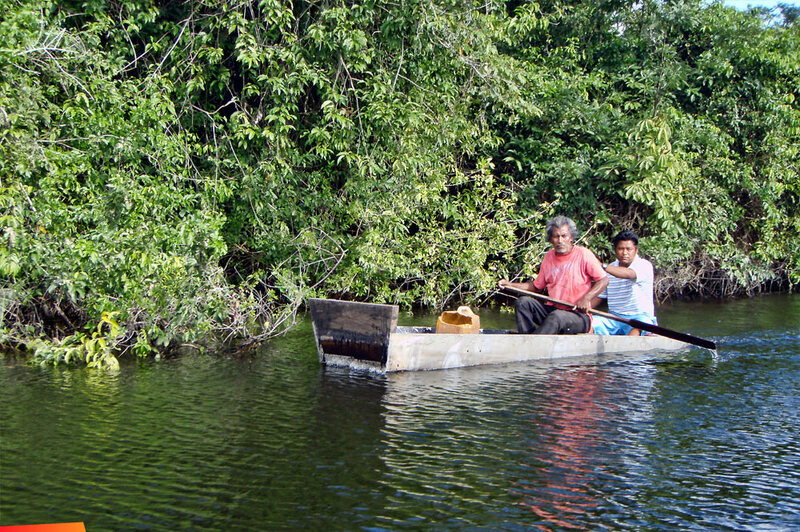 As one travels down the New River to visit Lamanai, he sees a number of rather eccentric homemade boats, with men and women fishing from them. This particular boat sports aluminum cladding, which seems to be a sort of status symbol -- even dugout canoes may have some aluminum tacked on. Very few of the river fishing boats ride higher in the water than you see here, so the Lamanai tour operators are very careful not to cause a wake near them.